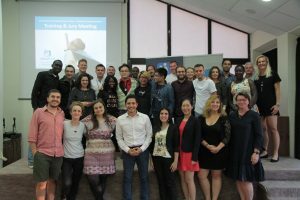 The International Mobile App Camp- Business Development Training gathered all continental winners from Ghana, Kenya, Tanzania, Hong Kong, Vietnam, Singapore, Philippines, Macedonia, Romania, Poland and Austria in one place. The participants had intensive training course on business and marketing for mobile apps development, lead by Dimitar Jovevski, Professor from the Faculty of Economics, Ss. Cyril and Methodius University, Skopje. 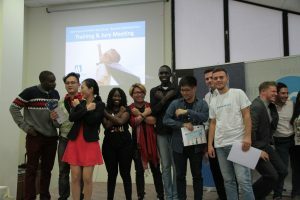 Through presentations, workshops, exchange of know-how and peer to peer learning, the participants gained knowledge and practical skills on how to develop their mobile app business plan and how to create a communication, market, sales and revenue strategies. This entrepreneurship perspective complemented their understanding and experience gained on the national and continental mYouth 2.0 camps and opened up the space for ideas and strategies for creation of their small business and start-ups. 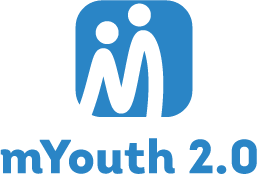 At the same time, the mYouth 2.0 Jury meeting was held gathering 16 professionals from and experts from Europe working in the field of IT, Business, Marketing, Communication and Design. 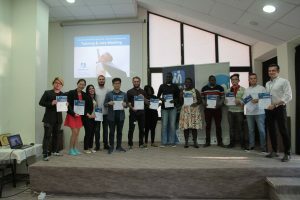 Their role was not only to select the best apps and 3 winners, but also through interactive sessions and exercises, to offer diversified expertise and assistance to all participants and help them to further develop their apps and business models.